Will Trump Bow to Arab Intimidation on Jerusalem? President-elect Trump has promised to move the US Embassy from Tel Aviv to Jerusalem. Predictably, cataclysmic warnings are coming from the Palestinians, Arab leaders and State Department Arabists. For nearly 60 years, American presidents have wilted in the face of threats of violence; will Trump be different? We already know that Trump is different but whether that translates into action on the embassy remains to be seen. As someone who has up until now refused to back down from bullies, or to feel obligated to conventional wisdom, the hope is that Trump will fulfill his promise. The US Embassy is sovereign American territory. Since when do we let foreigners dictate where American sovereignty begins and ends? Jerusalem is the only place where blackmailers have succeeded in limiting our independence. Out of the 190 nations with which America has diplomatic relations, Israel is the only one whose capital is not recognized by the US government. It is long past time to put an end to this absurd anomaly. The fact that there is any hesitancy to move the embassy is in itself a colossal US policy failure and a glaring example of executive spinelessness. Where else does the US let its policy be dictated by threats of violence? Giving in to blackmail from terrorists only emboldens them and they’ve learned in the case of Jerusalem that whipping up hysteria, and periodically resorting to violence, is sufficient to cow the world’s only superpower. Seriously, with everything happening in the Middle East, does anyone really believe the Muslim world is going to get upset over moving the US embassy 40 miles down the road and acknowledging the fact that Jerusalem has been Israel’s capital since independence and will remain so in perpetuity? Is ISIS, which is now fighting for its survival in Syria and Iraq, going to send soldiers to fight a jihad for Jerusalem? Are the Sunnis and Shiites who slaughter each on a daily basis in a death match for regional supremacy going to be distracted by the American flag flying over a building in Jerusalem? Will the Gulf States that face Iran’s hegemonic ambitions turn on the country they need most to keep their royal heads on their shoulders? Will the US move spark another intifada? Not likely. First, Israel is much better prepared for the outbreak of violence than in the past. Second, Mahmoud Abbas has been accusing Israel of threatening the Al-Aqsa Mosque on a regular basis to try to stir up Muslim anger and failed. Third, an escalation of terror will undermine the already unconvincing case that Palestinians are ready for statehood and that Israel should capitulate to their demands. Fourth, Israelis who lost interest in territorial compromise after the Gaza disengagement brought terror rather than peace, will be even more reluctant to support any withdrawal from the West Bank. Fifth, an uprising will reinforce the belief the Palestinians cannot be trusted to keep the peace even after an agreement because they will use any excuse to turn to violence. The reaction to Palestinian threats regarding the embassy parallel those of Kerry and his predecessors to Palestinian irredentism. Rather than tell the Palestinians that we will not tolerate any violence, and will punish them if they do not heed our warning, our feckless diplomats convince their political bosses that we must give in to their demands. Usually, what follows is pressure on Israel to make concessions to appease Palestinian anger. President Trump needs to take the same tough line that he has expressed toward the United Nations after its reprehensible adoption of yet another anti-Israel measure. He should let the Palestinians and other leaders in the region know that no economic or military aid will be forthcoming to anyone who in any way threatens our embassy in Jerusalem. An attack on the embassy is an attack on the United States and will trigger a military response not only against the perpetrators but the organizations or governments behind them. By moving the embassy, President Trump can send a strong message that America will once again behave like a superpower. We will no longer lead from behind. The simple act of moving our ambassador down the road from Tel Aviv to Jerusalem will show that, unlike President Obama, Trump cannot be blackmailed or intimidated, and that Iran, Russia, Syria, China, the Palestinians and our other enemies will no longer be allowed to ignore or threaten our interests. 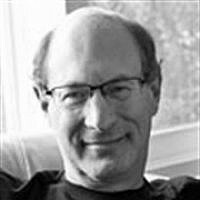 Dr. Mitchell Bard is the author/editor of 24 books including the 2017 edition of Myths and Facts: A Guide to the Arab-Israeli Conflict; The Arab Lobby, and the novel After Anatevka: Tevye in Palestine.